Is Chris Brown Really Coming to Nigeria and Performing on the 22nd of December in Lagos? 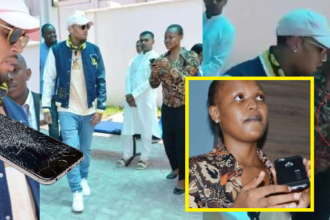 This gist is yet to be complete but there are rumors going on that Chris Brown would be making his second trip to Nigeria and would be performing in a concert being put together by Femi Akande’s Kilimanjaro Entertainment. The event will be held at the New Expo Centre of Eko Hotel and Suites, Victoria Island. Breezy who was last in Nigeria in 2008 alongside Rihanna for ThisDay Festival, is expected to wow Lagos concert lovers with his singing and dancing prowess alongside some top Nigerian stars. Nigerians will have a chance this season to watch Chris’ electrifying performance in Lagos.